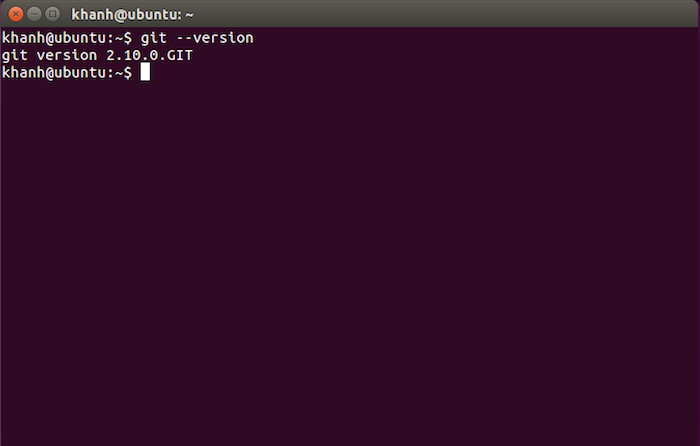 I have a tutorial that instructs you all how to install Git on Ubuntu using the “apt-get install” command but one drawback of this command is that: it can only install Git from the Ubuntu repository. 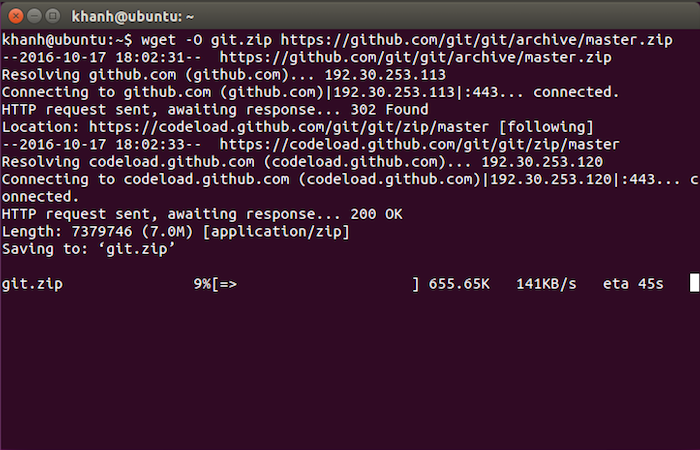 Sometimes, the version of Git on Ubuntu’s repository is not the newest. If you want to install the latest version of Git, the only way is to install from its source. 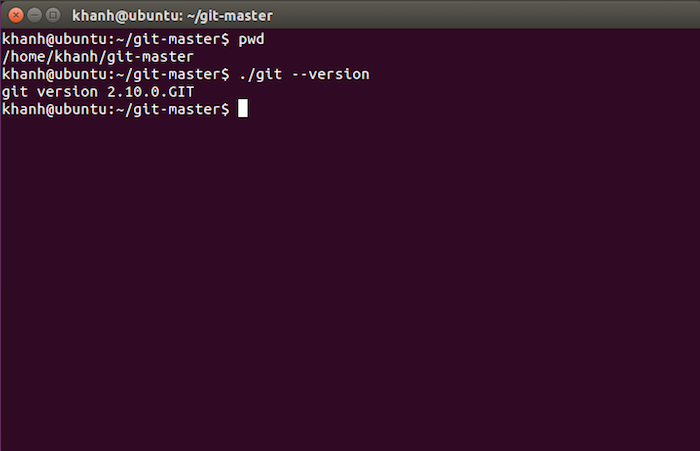 In this tutorial, I would like to guide you to install Git from the source code on Ubuntu! By default, Git will be installed in the folder which you have unzipped the git.zip file. In this example, it will be installed in /home/khanh/git-master. In order to use Git anywhere, you need to add the environment variable to it. To do this, open the .bashrc file in the user directory, and then add the following line to the end of the file. Please replace /home/khanh/git-master/ with the path that you just installed Git!